Natural Progression at home At home we have many skills that we personally have developed ourselves, some more interesting than others. By looking inside other peoples homes and then look more closely we get ideas, hopefully these ideas will help you develop your own natural progression at home. Natural progression and hobbies. Our hobbies and interests shape our reality and the contacts we make as we go along in living life. What makes us happy is often what we are taught or we choose to learn and read and also can influence the way we see and connect with other people in our reality, this is just another key factor in the way we naturally progress, this section highlights how hobbies and interests are key factors of Naturally progressing online. Natural progression of Ideologies: We see hear and join many ideas together, and this progresses as we go along in life. Shaping our own ideologies is important, similarly researching and considering other peoples ideologies is one way our natural progression throughout life can be peorsonally developed by our own management. With some clear organisational guildlines anyone can shape there ideologies better an avoid any pitfalls of misguided sugggestions later in life. Experience is a key theme in this catagory. Natural Progression means many things and downloading the different types of mixed media to enrich your knowledge and benefits of this subject can increase your chances of success online. Replicating and improving on these skills is another story. Natural Progression Software: There are many spiritual packages online cashing in on online software these come in CD formats and often are riddled with amazing self help stategies. There are software to help us progress and learn online for example learn how to drive and stuff like this. A natural progression is a very broad subject and understanding it will help you utilise the methods and know how and where to download the software better. Natural Progression songs: Natural Progression Songs are varied and the music used to accompany the lyrics is just an extension of the sound. Just one great example of natural progression. 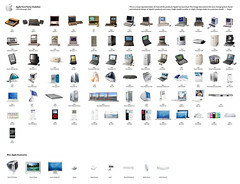 Natural Progressions visual software: Online software has a whole heap of systems and manuals, it seems to be a hub full of self help and entertaining methods to help you naturally progress, fautunately I I am comprising here on Natural Progression a category of all the various systems and manuals already published online, I shall go through the current most popular and historically list and catagorise these to make it a little bit more simple for you to actually find. Also I hope to educate you about some of things things you may not even realise you seek to find.